Writer, artist and part time superhero, Jess Thom co-founded Touretteshero in 2010 as a creative response to her experience of living with Tourettes Syndrome. Jess has written in the mainstream and disability press including The Guardian, The Observer and Disability Now. In 2012 she published Welcome to Biscuit Land – A Year In the Life of Touretteshero, with a foreword by Stephen Fry. Jess has performed at Glastonbury, the Edinburgh Fringe Festival, DaDaFest, Unlimited Festival and Shambala. She gave her Broadcast from Biscuit Land as part of On Stage: Live from Television Centre on BBC4 in 2015. In 2018 her one-hour film Me, My Mouth and I was broadcast on BBC2. In 2016 Jess took her award winning stage show Backstage in Biscuit Land on an extensive UK tour before taking it to the US, Bosnia, Ireland, Canada, and Australia. In the same year she received a Wellcome Engagement Fellowship became an Arts Council England Change Maker and received an honorary degree from the University of Wolverhampton. In 2017 Touretteshero hosted Adventures in Biscuit Land at Tate Modern as part of their Tate Exchange programme. In the same year Jess débuted her critically acclaimed performance of Samuel Beckett’s short play Not I as well as hosting and curating Brewing in the Basement at the Barbican Centre. In 2018 Jess took her stand-up show Stand Up, Sit Down, Roll Over to the US and Switzerland, hosted Heroes of the Imagination at Southbank’s Imagine Festival and Brewing in Battersea at Battersea Arts Centre. The year ended with Hacks for the Future, a residential theatre project for disabled young creatives in the highlands in association with National Theatre Scotland. 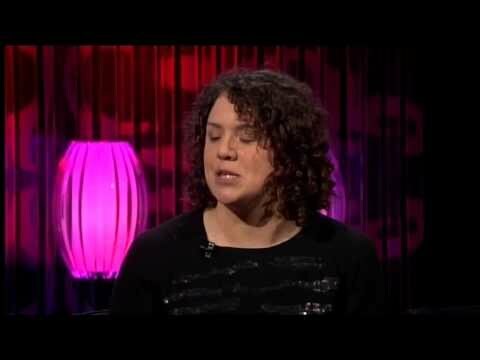 Jess has spoken widely in the media about her life with Tourettes, including on Woman’s Hour, This Morning, and The Saturday Night Show in Ireland. She has given a TEDx talk on The Alchemy of Chaos at the Royal Albert Hall and features in Annalisa is Awkward documentary on BBC Radio4. Jess is a visual, performing, and participatory artist based in London. She graduated from The Royal College of Art in 2005. She has worked as an artist educator and workshop facilitator for Tate Galleries, The South London Gallery and The Chisenhale. Jess’s style is engaging, playful and personal and can be tailored to suit the needs of individual events. Jess speaks on a wide range of creative and disability-related subjects in a number of different contexts.